Friday the 13th of December loomed before us during that last week of term. If we could only make it to that day, we would have come a third of the way to completing our master’s degrees. Our last week was filled with deadlines: group presentations on Monday, a formative exam on Thursday, and our second paper on that Friday. All of us sat in the archaeology common room that Monday afternoon waiting to give our presentations. It was already darkening outside though it was only three o’clock. We began chatting about the end of term and being thrilled to be that much nearer to an advanced degree. There was still so much work ahead of us though. The second term would not be as easy. I was surfing the web as I chatted and came across an advertisement for The Hobbitfilm. “Hey, The Hobbit comes out on Friday,” I said excitedly. 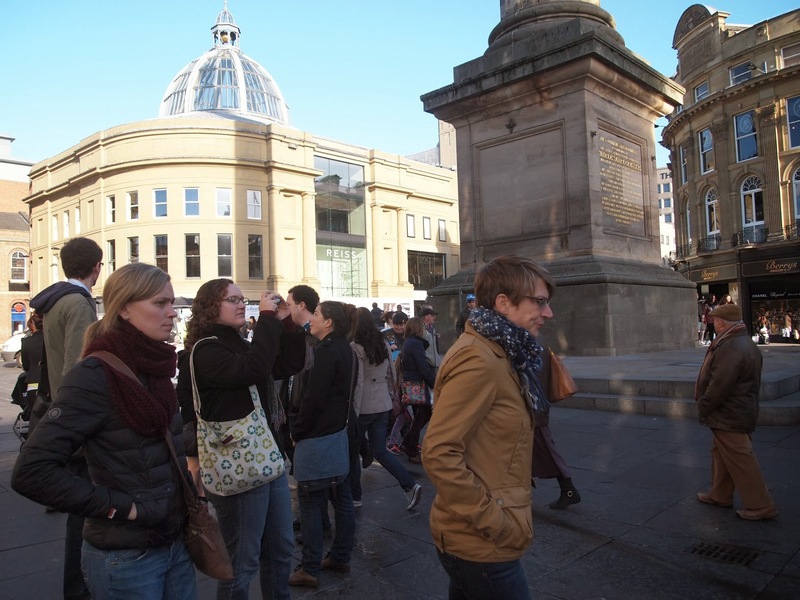 Originally, I had desperately wanted to go down to Oxford to see the movie. I wanted to be in the same town where Tolkien had lived and worked for so long. As the months had progressed and the realities of life set in, I had decided I would content myself with just seeing the movie in England. A few of our happy horde of museum studiers expressed an interest in seeing it. 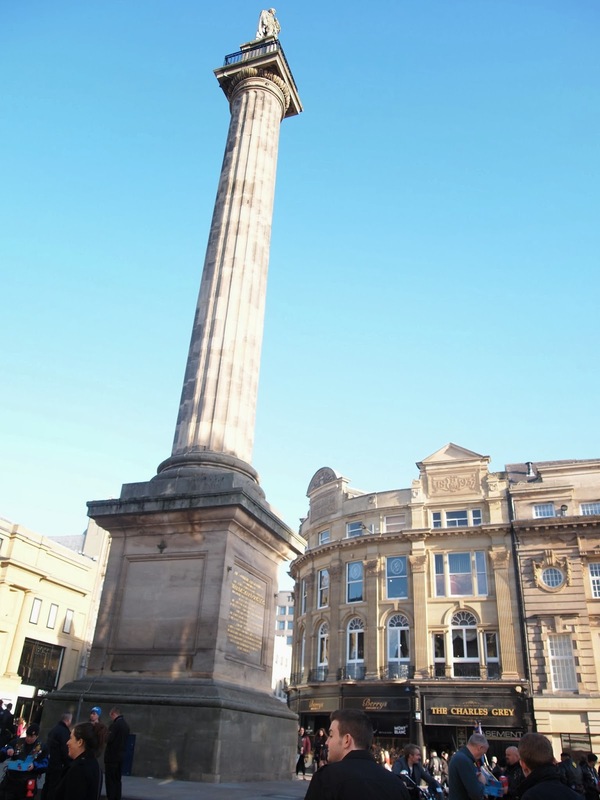 “What if we all meet here on Friday morning, hand in our essays en masse, and then head into Newcastle?” I suggested. Erin jumped on her computer and began looking for show times. Six of us settled on seeing an early matinee (IN 2D!) in the city and all of a sudden the unluckiest day of the year turned into an exciting prospect. We could think of no better way to celebrate the end of term and beginning of break than with Martin Freeman and a giant digital dragon. The thirteenth arrived amid great anticipation. The end of term. The Desolation of Smaug. The End of Term Party at Fisher. I printed out my paper which had come to sixteen pages, bibliography included, and began to worry I would run out of ink. Slowly, my printer spewed forth each page and I grabbed them in turn. I had broken three staplers and so decided to paper clip the pages, knowing there would be a stapler at Dawson. The six happy adventurers had all decided to meet at the wooden assignment drop box in Dawson at 9:50am. I must take full credit for the OCD-like time. It gave us the best opportunity for catching a 10:30 train to Newcastle and making the 11:30 matinee. We were all coming from different places. Erin would already be at Dawson making up the exam from the previous day. Sara and Alex both lived near to the station but had to come into town to hand in their essays. James lived at home and would be taking the bus into town. Jeremy and I would be coming up from Howlands. I couldn’t help but think of the arrivals of the dwarves in Tolkien’s book. Instead of Bag End, we’d meet at Dawson. Right on time, we all met and together slipped our papers through the slot on the front of the box. We then began the first leg of our adventure: the walk to Durham Train Station. It was a thirty minute journey through town and then uphill. Alone, it’s a bit of a wretched walk, but in the company of five other Tolkien enthusiasts who were just as excited about the end of term, it’s a pleasure. I say Tolkien enthusiasts, but the truth was that Alex had never seen any of the Lord of the Rings films until the previous evening when he had watched The Hobbit: An Unexpected Journey. He was very excited about it though, a true overnight convert. We had originally tried to get to the station for the 10:23 to Newcastle, but when we looked at the departure boards, we found it was 10:30. Not to worry, the next train would be there in a few minutes. Or maybe a few more minutes. It’s a fact of life that the trains outside of London were rather on their own schedules. I have yet to catch a train to Newcastle that was on time, I do have hopes though, that one day in the not so distant future, I will. 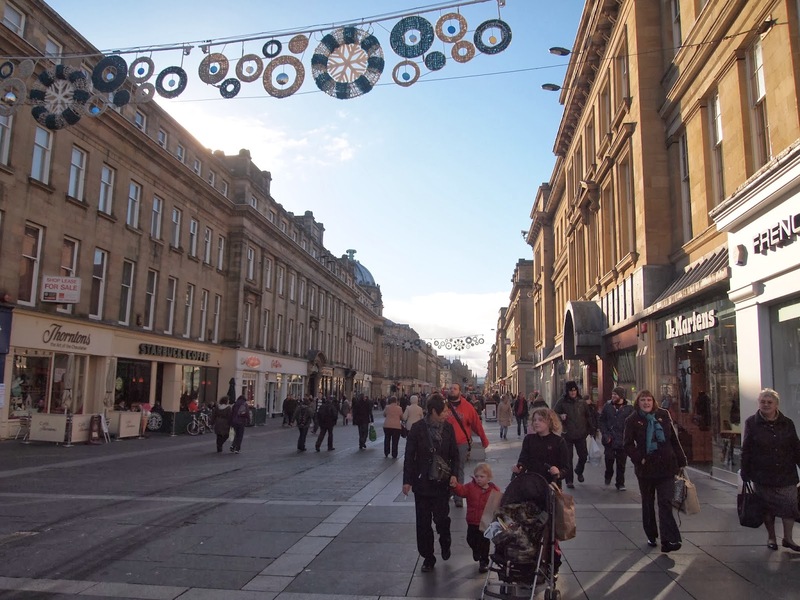 Newcastle. It’s an interesting city. Definitely a city, but not like New York, Philadelphia, or London. The buildings aren’t very tall, but there are some lovely older buildings. The River Tyne winds through the south and separates Newcastle from Gateshead. 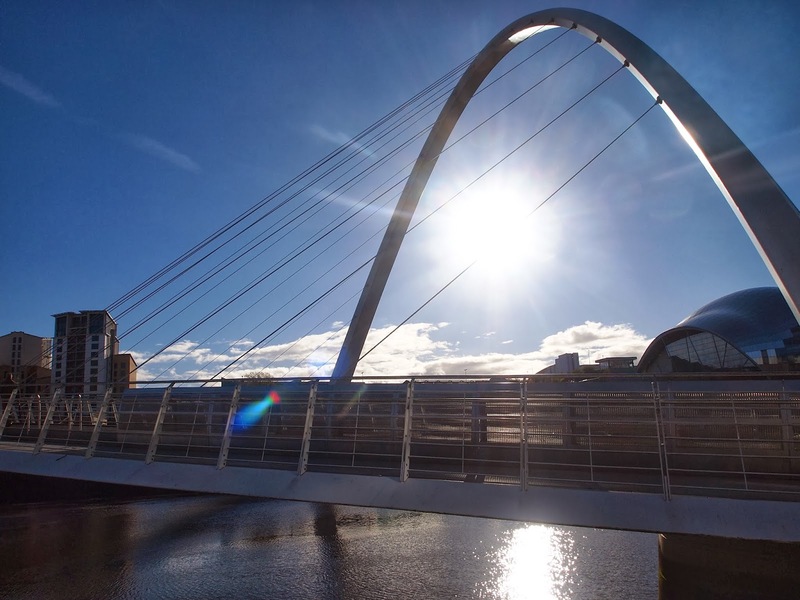 The iconic image of Newcastle is of course the Millennium Bridge. We could see it as the train crossed the Tyne and most of us had walked across it only a month before when we were in Newcastle for my thirtieth birthday. A month. It seemed more like a year. 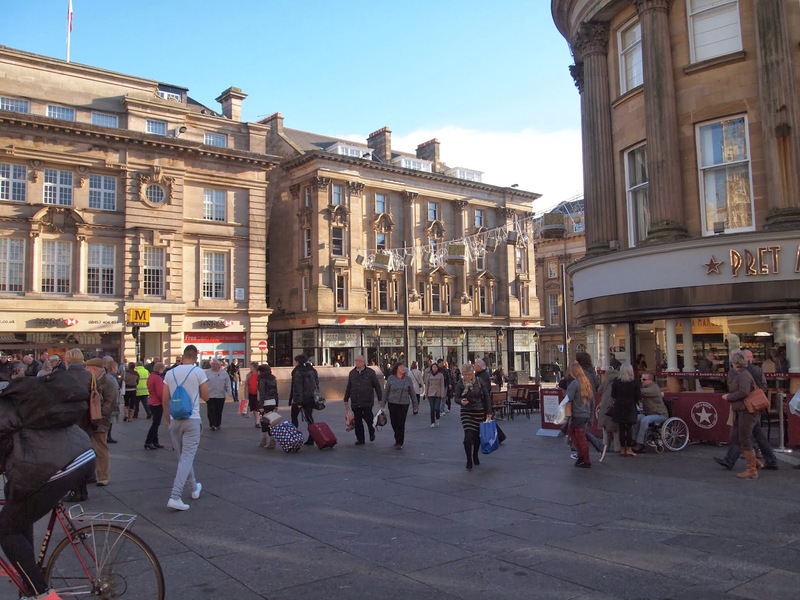 We got into Newcastle and walked through Eldon Square, the main square in the city. The Gate cinema was not far. As we neared I saw a giant advertisement for the upcoming 3D movie Walking with Dinosaurs. By now, everyone knew how much I loved dinosaurs and I couldn’t help but get excited and immediately suggest another trip into Newcastle in the new year. Erin had purchased our tickets online. We reimbursed her and she retrieved the tickets from one of the kiosks. The Gate is an odd place. The cinema is on the top level, the rest is filled with restaurants which gave the distinct impression of American themed restaurants, like TGI Fridays and the like. I was feeling rather unimpressed by it all and was glad when we finally reached the top floor. James went off to get some popcorn and a soda. (Odd English idiosyncrasy: you have to specify whether you want salty popcorn or sweet. Also, you can totally drink alcohol.). Sara had made some chocolate truffles for us to share when we got into the theatre. We took our seats (which were assigned, it’s not free seating like in the States) and eventually were transported to Middle Earth. I won’t do spoilers, except to say that every time I saw Stephen Fry I thought of Lord Melchett, especially when I saw the life-size painting of him in the background. I do hope he got to keep that at the end of filming. It certainly isn’t up to the original trilogy, which I adore. It’s long and it’s heavily adapted. Once again though, the best scene is between Martin Freeman and a CGI character, this time, the dragon, Smaug. I will also say that the design of the dragon is absolutely gorgeous. Oscars to the design team, please. Though it wasn’t my favourite movie, the trip had always been less about the film. It had been more about spending the day with people I like and going on an adventure with them. As we walked back to the station, we chatted about our impressions of the film, plans for the holidays, and thoughts about next term. That evening we spent some time at the End of Term Party at Fisher. There was much drinking and I’m sure a few sore heads the next day. By morning, many of the friends I had made over the past few months had gone home for the holidays. I was staying on until Thursday when I would head to Windsor to visit some dear friends of mine. Too much has happened over the course of the term to adequately put it in perspective. I have had great highs and very great lows. I’ve met some amazing people and seen some fantastic places. I can only hope that next term sees more highs than lows and brings more adventures to this little Hobbit.